In addition to Italian, Rugge speaks and writes in English, French and German. His areas of interest are governmental institutions and public administrations which he analyzes in a historical context, comparing developments in different European countries. His works have been widely published in book form and journals. He sits on the editorial boards of several journals including Il Politico, Grotius, and Storia Amministrazione Costituzione (which he co-directs). From 2005 to 2011, he headed the Department of Political Science at the University of Pavia. He is a member of the board of directors of the G. Romagnosi Foundation, which he helped to found in 2003 and chaired until 2011. Over the years, he has advised many public bodies (among others: the regional councils of Lombardy, Veneto and Trentino Alto-Adige). In 2013 he became a member of the Conference of Italian University Rectors and later a member of its board. Since 2015 he has been appointed to lead the committee on international relations. As Provost of the University of Pavia, in September 2015 he also became the President of the board of directors of the Foundation of the C. Mondino Neurological Institute, which controls the C. Mondino Hospital. He is one of the two ex-officio members of the board of directors of the S. Maugeri Foundation, which operates in the field of rehabilitation therapies in Lombardy and controls several clinics for occupational health all over Italy. He is also part of the executive board of the CNAO Foundation that is engaged in the fight against cancer ald President of the board of directors of the Alma Mater Ticinensis Foundation. 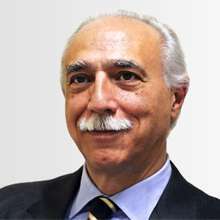 In addition, he is one of members of the advisory board that provides strategic advice to the management of Confindustria in Pavia.